The following excerpts are from a book entitled The Spiritual Combat. By Lorenzo Scupoli. A book that subsequently, St. Francis de Sales carried with him for 18 years! 1. We must desire sincerely to serve God with ardent fervor in the manner most agreeable to Him; and this desire will be enkindled within our breasts if we consider three things attentively. The first is that Almighty God deserves our homage and service by reason of the excellence of His sovereign being, His goodness, beauty, wisdom, power, and His ineffable, infinite perfection. The second is that God in Heaven became man on earth to consecrate a life of thirty-three years to the cause of our salvation. He condescended to dress our wounds with His own hands, and heal them, not with oil and wine, but with His own precious blood and immaculate body, torn and disfigured by cruel whips, thorns, and nails. The third point is our realization of the obligation to observe His law, and discharge every duty, since this is the only way we can expect to triumph over the devil, to become masters of ourselves, and children of God. 2. We must have a vibrant, living faith and a firm confidence that God will not refuse the assistance necessary to serve Him faithfully and work out our salvation. A soul rekindled with this holy confidence is like a sacred vessel, into which Divine Mercy pours the treasures of His grace; and the larger the vessel, the greater the abundance of Heavenly blessings it receives through prayer. For how can God, Whose power is limitless, and Whose goodness is alien to all deception, ever refuse His gifts to those whose petitions He has encouraged, and whose perseverance and faith He has promised to reward with the blessings of the Holy Spirit? 3. But our motive for prayer must be the will of God rather than the will of self. We must apply ourselves to this divinely appointed duty because He has commanded it, and we must wish no more than that which is in utter conformity to God’s plan. Thus, our intention will not be to make the Divine will subservient to our own, but rather, to transform the human will so that it is in complete harmony with the Divine. The reason for this humble accedence to the Divine will is the perversity of our own, tainted as it is with a blind self-love. Guided by ourselves alone, we would err and stumble, but the will of God, essentially just and holy, cannot be mistaken. Thus the will of God should be the will of men, since not to follow the former is to go astray. 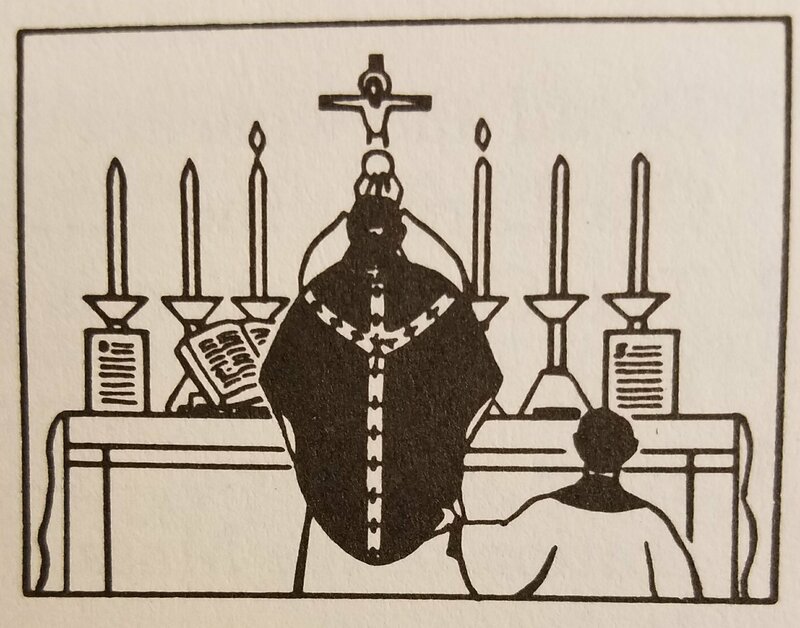 Let us, then, be most solicitous that all our petitions be agreeable to God, and if doubts arise concerning the concurrence of the human with the Divine, let a humble submission to Divine Providence accompany our requests. If, however, the things we ask are, by their very nature, pleasing to Him, such as grace, virtue, etc., then let us beg them with a view to pleasing and serving His Divine Majesty, rather than for any other consideration, however creditable. 4. If we wish our prayers to be efficacious, our actions must suit the petitions, and we must exert much energy in making ourselves worthy of the favors we ask. 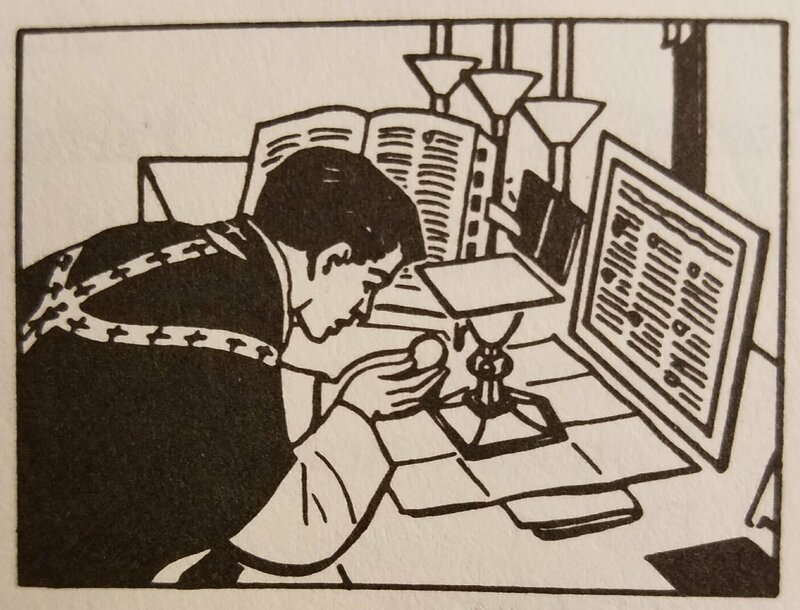 For prayer and interior mortification are inseparable, and he that seeks a particular virtue, without making a serious effort to practice it, only tempts God. 5. Before we ask anything of God, we ought to thank Him most humbly for the innumerable benefits He has graciously bestowed upon us. Let us say to Him: “O Lord, Who after creating me, didst mercifully pay the price of my redemption, delivering me from the fury of myriad enemies, come now to my assistance; and forgetting my past ingratitude, bestow upon me this favor I now ask.” If, however, at the very time we seek to attain a particular virtue, we find ourselves tempted to the contrary vice, let us thank God for granting us the opportunity of practicing the virtue in question, and look upon the occasion as a favor. C) “Be mindful, O God, of Thy promises, and hear my prayers.” Again, we may have recourse to the intercession of the blessed Mother and the other Saints; for they prevail much with God, Who is pleased to honor them, in proportion to the honor they accorded Him on earth. 7. We must persist in prayer, since God certainly cannot overlook our humble perseverance. For if the pleadings of the widow in the Gospel prevailed with the wicked judge, how can our pleadings be ignored by God, Who is infinitely good? Thus, although our favors may not be immediately granted, and may even appear to be ignored by God, we must not lose our confidence in His infinite goodness, nor desist from prayer. For God possesses both immense power and will to grant us those things conducive to our ultimate welfare. Therefore, if we are not wanting in ourselves, we shall inevitably obtain what we ask for, something better, or perhaps both. As for the rest, the more we churlishly think ourselves slighted by God, the more we should hold ourselves in contempt. But in considering our misery, we should contemplate the Divine mercy, and far from lessening our confidence in Him, we must increase it; for the steadier we remain in situations attended by fear and diffidence, the greater will be our merit. Finally, let us never cease to thank God, blessing equally His wisdom, His goodness, His charity, whether He grants or refuses our petition. Whatever happens, let us be undisturbed, contented and resigned to divine Providence in all things. MENTAL PRAYER is the elevation of our minds to God, asking of Him either expressly or tacitly those things of which we stand in need. We ask for them expressly when we say in our hearts: “O my God, grant me this request for the honor of Thy holy name”; or “Lord, I am firmly convinced that this petition is Thy will, and for Thy greater honor, I ask this petition. Accomplish, therefore, Thy Divine will in me.” When harassed by the attacks of the enemy, let us say: “Come swiftly, O Lord, to my assistance lest I fall a prey to my enemy”; or “O God, my refuge and my strength, help me speedily, lest I perish.” When temptation continues, we must continue the same prayer, courageously resisting the foe; and when the fury of the combat has passed, let us address ourselves to the Almighty, imploring Him to consider our weakness in the face of the enemy’s strength: “Behold, my God, Thy creature, the work of Thy hands, a man redeemed by Thy precious blood. And behold Satan trying to carry him from Thee to utterly destroy him. It is to Thee I fly for aid, and it is in Thee that I place my entire confidence, for I know that Thou alone art infinitely good and powerful. Have pity on a miserable creature who stumbles blindly, though willfully, into the path of his enemies, as do all who forsake the assistance of Thy grace. Help me therefore, my only hope, O sole strength of my soul!” We tacitly ask favors of God when we present to Him our necessities, without making any particular request. Placing ourselves in His Divine presence, we acknowledge our incapacity to avoid evil or do good without His aid. We are nevertheless inflamed with a desire of serving Him. Thus we must fix our eyes upon Him, waiting for His assistance with unbounded confidence and utter humility. 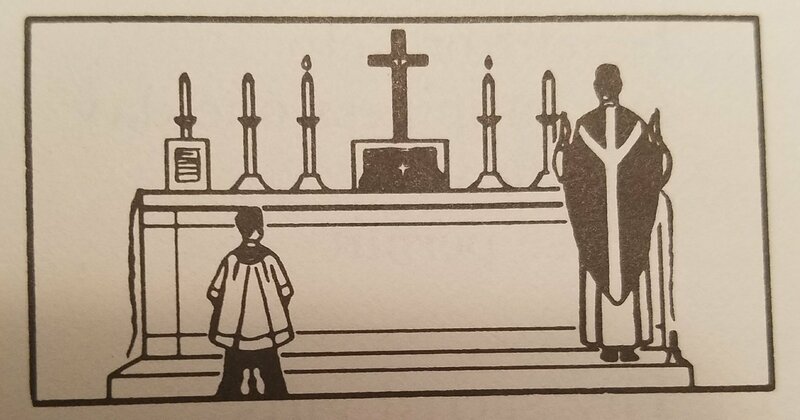 The confession of our weakness and the desire to serve Him, this act of faith so performed, is a silent prayer which will infallibly obtain our request from Heaven. The more sincere the confession, the more ardent the desire, and the more lively the faith, the greater will be the efficacy of the prayer before the throne of God. There is another method of prayer similar to this, but more concise, consisting as it does in but a single act of the soul. The soul presents her requests to the Almighty, adverting to a favor already asked and still sought, although not formally expressed. Let us endeavor to cultivate this kind of prayer, and employ it on all occasions; for experience will convince us that nothing is more easy, yet nothing more excellent and efficacious. 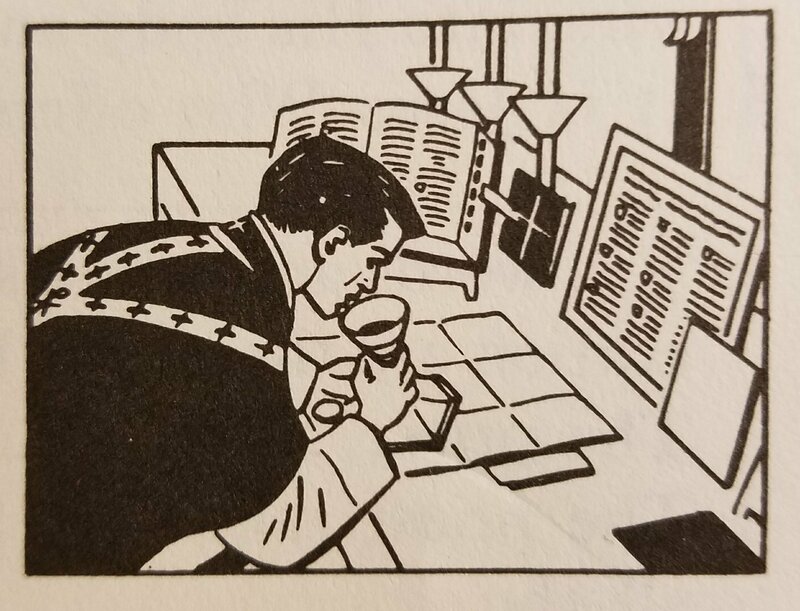 WHEN A CONSIDERABLE length of time is to be spent in prayer, it is advisable to make a meditation on some feature of our Savior’s life or passion; the reflections naturally arising from such meditation should then be applied to the particular virtue we are striving to attain. If, for instance, you need patience, contemplate the mystery of your Savior scourged at the pillar. Consider first the blows and revilements hurled at Him by the soldiers as they brutally drag their innocent victim to the appointed place as ordered. Secondly, consider Him stripped of His garments, exposed to the piercing cold. Thirdly, picture those innocent hands, bound tightly to the pillar. Fourthly, consider His body, torn with whips until His blood moistened the earth. And finally, envision the frequency of the blows, creating new wounds, reopening others on that sacred body. Dwelling on these or similar details, calculated to inspire in you a love of patience, you should try to feel within your very soul the inexpressible anguish so patiently borne by your Divine Master. Then consider the excruciating agony of His spirit, and the patience and mildness with which that agony was endured by Him Who was ready to suffer even more for God’s glory and your welfare. Behold, then, your Master, covered with blood, desiring nothing more earnestly than your patient acceptance of affliction; and be assured that He implores for you the assistance of the Heavenly Father that you may bear with resignation, not only the cross of the moment, but the crosses to come. Strengthen, therefore, by frequent acts your resolution to suffer, with joy; and, raising your mind to Heaven, give thanks to the Father of mercies, Who didst send His only Son into this world to suffer indescribable torments, and to intercede for you in your necessities. 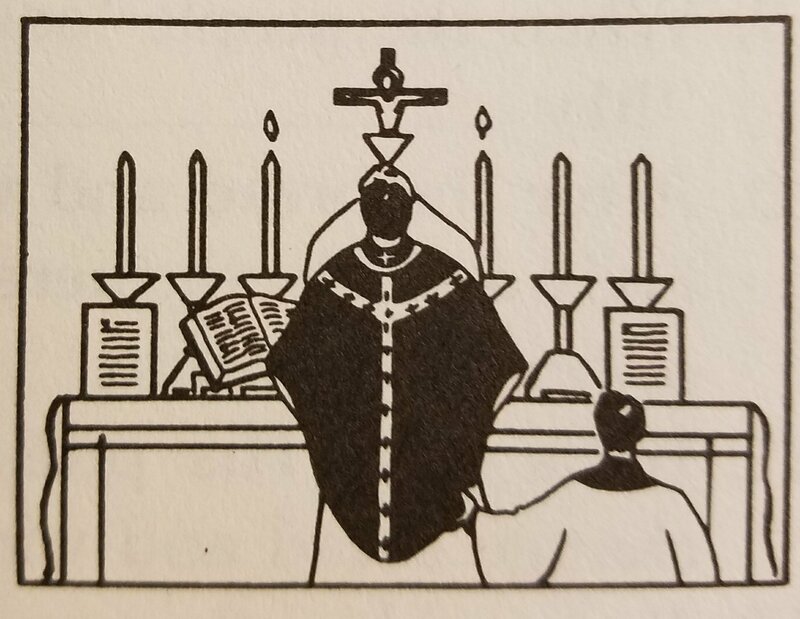 Conclude your meditation by beseeching Him to grant you the virtue of patience, through the merits and intercession of this beloved Son in Whom He is well pleased. THERE IS ANOTHER method of prayer and meditation besides the one to which we have adverted. In this latter method, having considered the poignant sufferings of your Savior and His patient endurance of them, you proceed to two other considerations of equal importance. The one is the consideration of Christ’s infinite merits, and the other, of that satisfaction and glory which the eternal Father received from His obedience—an obedience unto death, even the death of the Cross. You must represent these two considerations to the Divine Majesty, as two powerful means of obtaining the grace you seek. This method is applicable, not only to all the mysteries of Our Lord’s passion, but to every exterior or interior act He performed in the course of His passion. BESIDES THE METHODS of meditation already mentioned, there is another which is addressed particularly to the Blessed Virgin. We first consider the eternal Father, then Jesus Christ Our Lord, and finally, the Blessed Mother. With regard to the eternal Father, there are two considerations. The first is the singular affection He cherished from all eternity for this most chaste Virgin whom He chose to be the mother of His Divine Son. The second is the eminent sanctity He was pleased to bestow upon her and the many virtues she practiced in her lifetime. Meditating on the affection of the eternal Father for our Lady, you must begin by raising your mind above all created beings; look forward to the vast expanses of eternity, enter into the heart of God, and see with what delight He viewed the person destined one day to become the mother of His Son; beseech Him by that delight to give you sufficient strength against your enemies, especially those who most grievously afflict you. Contemplate, then, the virtues and heroic actions of this incomparable Virgin; make an offering of each or all of them to God, as they are of such efficacy as to obtain for you divine assistance in your particular necessities. After this address yourself to Jesus, begging Him to be mindful of that loving mother who for nine months carried Him in her womb, and from the moment of His birth paid Him the most profound adoration. For this was her acknowledgment that this Child was at once God and man, her Creator and her Son. With compassion she saw Him poorly accommodated in a humble stable, nourished Him with her pure milk, kissed and embraced Him a thousand times with maternal fondness, and through His life and at His death, suffered for Him beyond expression. Present this picture to the Savior, that He may be compelled, as it were, by such powerful motives, to hear your prayers. Appeal to the Blessed Virgin herself, reminding her of her commission from all eternity, to be the Mother of Mercy and the refuge of sinners, and that after her divine Son, you place your greatest confidence in her intercession. Present to her the fact, asserted by the learned and confirmed by miracles, that no one ever called upon her with a lively faith, and was left unaided. Finally, remind her of the sufferings of her Son for your salvation, that she may obtain of Him the grace necessary to make proper use of His sufferings for the greater glory of that loving Savior.